The Suzuki Guitar Method is a special way to teach music to children ages three and up. A student’s teacher and parents work together to create an environment in which children can learn music easily and naturally. 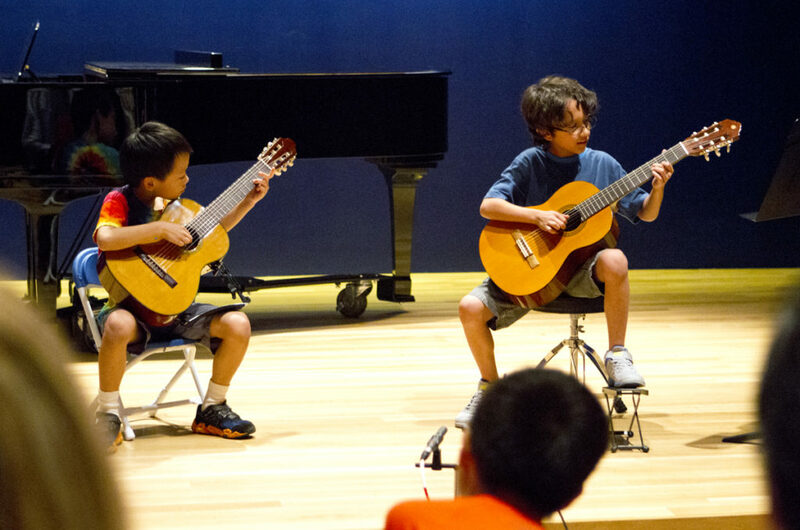 Through our Suzuki program’s weekly lessons and weekly group classes, students learn excellent guitar technique, beginning music theory, and how to enjoy creating music together! 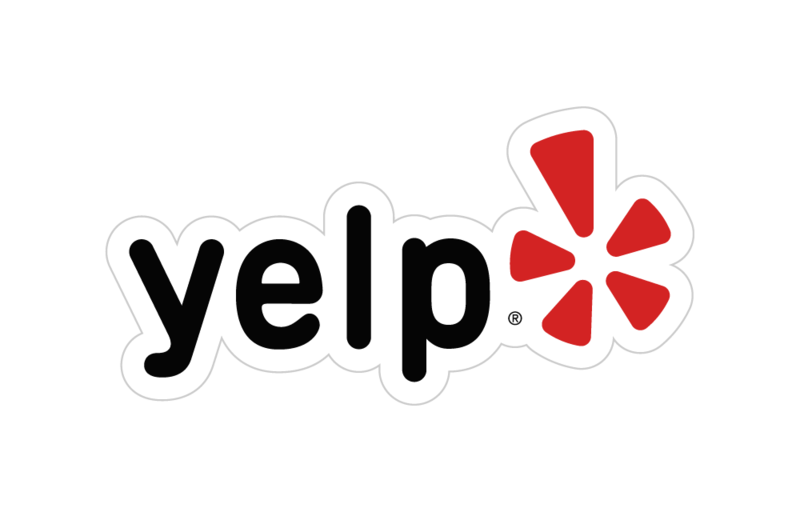 Suzuki guitar lessons also develop a child’s confidence, their self-discipline, and their memory. Develop musical skills that will last a lifetime from a highly trained instructor specializing in early childhood music education. Learn alongside other children during weekly group classes, so that learning guitar is a social, instead of solitary, activity. Build confidence by performing in front of family and friends during our regularly scheduled recitals, included with the cost of tuition. The Suzuki Guitar Method is very successful with young kids for a variety of reasons. Lessons are broken down into such small steps that kids can’t fail, while at the same time they are kept fun and engaging. Parent involvement plays a large role. 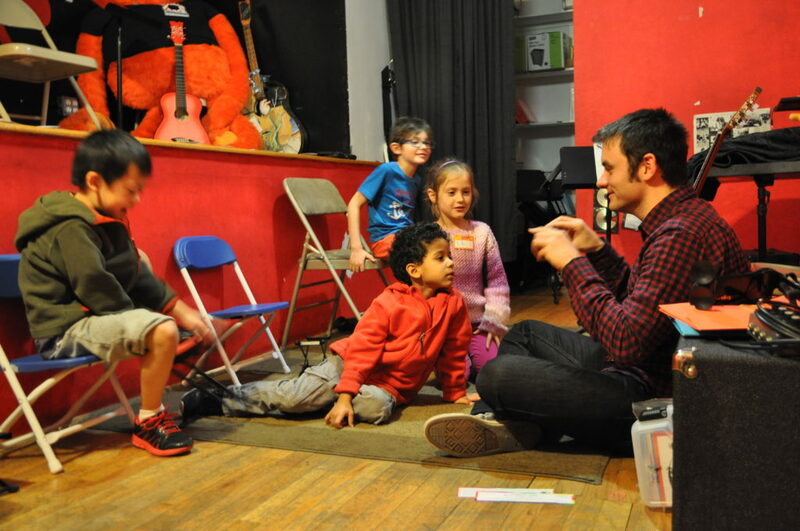 Along with their child, parents will work with their trained and experienced Suzuki guitar teacher to learn the basics of guitar and become the “home educator” Don’t worry, as parents you don’t need to be “musical”, we’ll teach you everything you need to know! No experience needed, starting as young as age three! 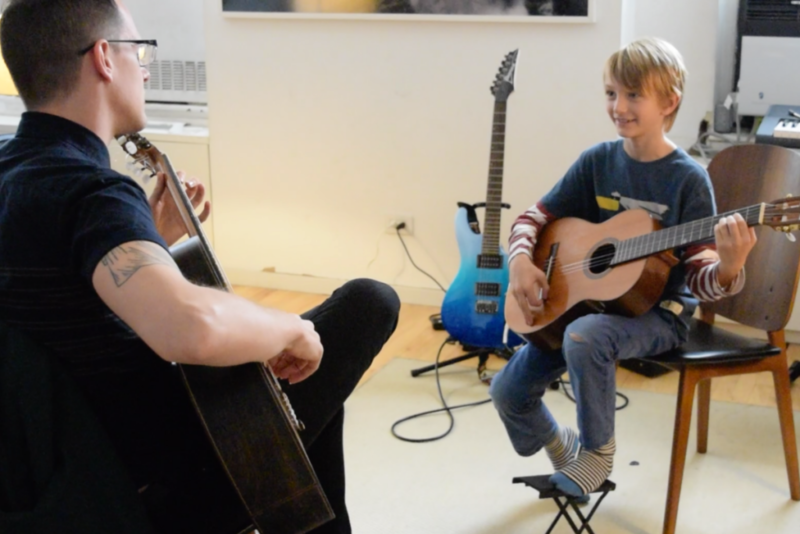 WATCH THIS INTRODUCTION TO OUR SUZUKI PROGRAM: Hear Rob, the Suzuki program director, explain the basics of the Suzuki guitar methodology, along with testimonials from amazing parents like you!